This article outlines the importance of Google reviews and ways to get more of them for your business. It’s no wonder the internet is now the first point of contact between consumers and companies. At a moment’s notice, they can get a list of relevant, nearby businesses simply by typing a word or phrase into Google. That’s convenience at its finest. When such a search is performed in Google, the results page has three components: paid results, local/maps results, and then organic results. 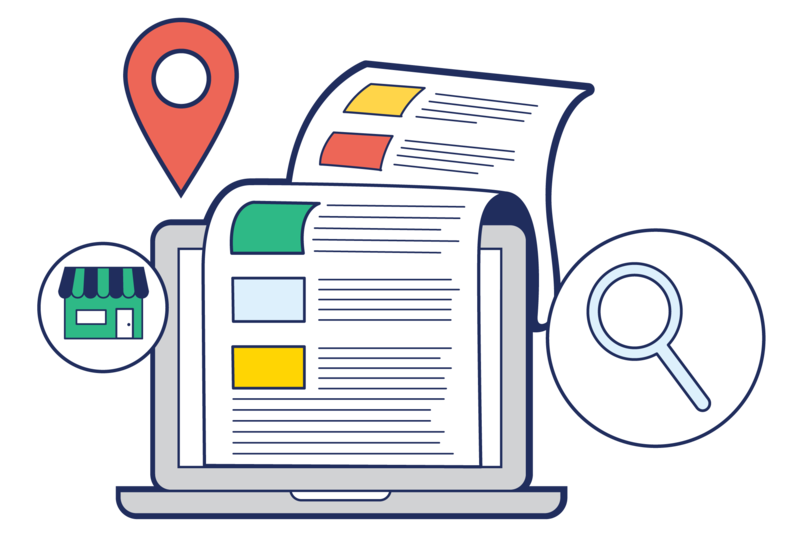 Any of the local/maps listings you see are those of businesses that have a Google My Business listing. It is through this listing that businesses can present their contact information, increase their exposure, and accumulate reviews from customers. Read on to learn about the importance of Google reviews as well as how to get more of them to further increase the credibility and appeal of your business. It’s a quick and simple process, but the benefits are ongoing. The more people you can get to leave a Google review for your business, the more you’ll be able to accomplish in the way of business objectives. If you’re not yet placing emphasis on Google Reviews, now’s the time to change that! Did you know that 88% of consumers trust online reviews as much as personal recommendations? Building up your reviews builds up the likelihood that a Google searcher will engage with your business upon finding it. We research and read reviews before making purchase decisions. This has become part of consumer behavior that cannot be ignored. The more Google reviews you have, the more likely a purchase is to be made. Google rewards businesses that have frequent and positive reviews. They are a critical component of Google’s ranking algorithm, which means that more great reviews can help you move up in local search results. There are no fees to leave reviews or to respond to them. Positive endorsements for your business on Google serve as free advertising for your business on the world’s most trusted platform. Before going into strategic methods of generating more Google reviews, it’s important that you take this important first step of creating a shortcut to review your business on Google. 3. Copy the place ID that comes up with your result. Now that you’ve got your Google review shortcut link, it’s time to look at various ways to present this link to customers to get more Google reviews for your business. Your Google review helps others who need our services to find our business. Plus, your feedback equips us to continue serving you best. Take a minute to rate and review us at [shortened link]. Having a good conversation with a customer in your store? Just finished a solid support call in which the customer felt eternally grateful? In your interactions with clients, there are many opportunities to ask for Google reviews. And then you have that compact little card that gives them instructions to leave a review and thanks them in advance for helping your business to help more people. • They can just leave a star rating without writing anything. • If they do write, the review can be one or two sentences. 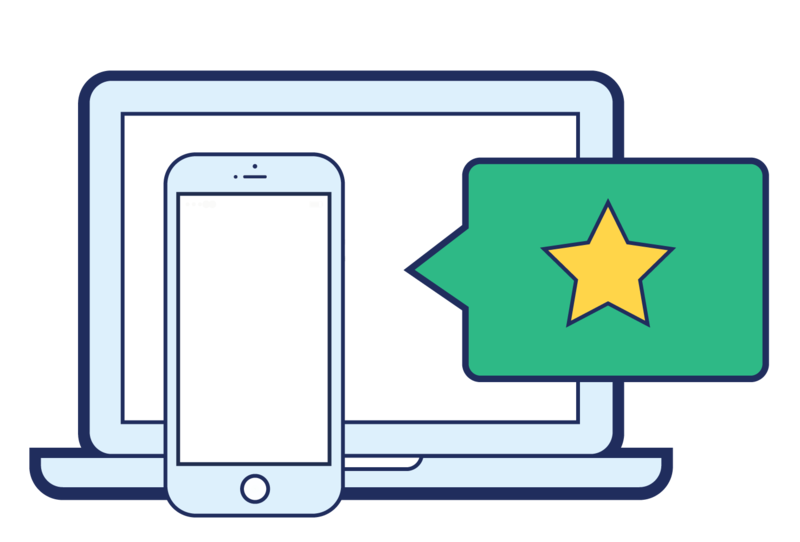 • Using terminology like “leave a review” or “drop a quick review” instead of “write a review” might feel less cumbersome to customers and result in an increase in reviews. Whether via individual, personalized emails or a larger blanket campaign, this is another effective way to get more Google reviews. Just be clear in your ask—don’t try to sugar coat it, beat around the bush, or coerce them into doing it without realizing. There’s nothing wrong with asking your customers to do something that will help other future customers. Plus, if you have happy customers, you’d be surprised at how willing they’ll be to write a review. As long as the process is clear and you make it fast and easy to do, you’re likely to get some reviews out of your email campaign. For relevant pages of your website, use a button or anchor text to link to your Google review form. This might be on your contact page, thank you pages, or purchase confirmation pages. Asking your customers for their feedback lets them know that you value what they have to say and have their best interests in mind. If you’ve gotten someone to fill out a poll or survey, they’re already in the proper mindset. See if you can take advantage of their momentum by asking them to review your business on Google while they’re at it. Vendors and partners may not be customers, but they can attest to what it’s like to work with you on a regular basis. They also might be more willing to leave a Google review if you write one for their business first. When you respond to your customers’ Google reviews, you are letting new potential reviewers know that you listen to customer feedback and that it’s worth their time to write their own review. There are two ways in which responding to reviews can get you more reviews. • Positive reviews: Being specific, timely, and grateful in your responses to positive reviews will beget more positive reviews. • Negative reviews: Responding promptly and politely to negative reviews and actually resolving the issue can oftentimes result in the conversion of a negative review into a positive one. • Happy with [Business Name]? Leave a review here. This can be particularly effective if you communicate on a daily bases with clients via email. Please note that you must follow Google’s guidelines when soliciting reviews. This means you should not offer any rewards and should ask your customers equally – whether they seem to have had a positive or negative experience. • Reviews on Google help us to help more people like you. When you have a minute, please share your feedback about our business! • Got a minute to review us on Google? We’d love to get your feedback. • Thank you for choosing our business! Let us know how we’re doing by dropping us a quick Google review! • We appreciate your input! Help us continue providing the best service by posting a review on Google. • Leave us a quick review on Google! This helps people who need our help to find us. To have all the bases covered here, we just want to lay out what the process is for leaving a Google review in case you don’t have a link generated. You’ll see a “Rate and review” section where you can give the business a star rating. Once you select the star rating, you’ll have the option to write a review about the experience. Alternatively, you can click on the star rating directly below the business’s listing title. This will take you directly you to the review pane, which has an option to write a review. The fact is that people trust what other consumers have to say. In fact, many people feel that reviews posted by strangers are just as reliable as personal recommendations. Use that to your advantage! Make it a habit to ask your customers to review your business. As long as you make it as easy as possible to do, you are likely to get more Google reviews showing up on your listing.